Between the years of 1898 and 1926, Edward Westermarck spent a total of seven years in Morocco, visiting towns and tribes in different parts of the country, meeting local people and learning about their language and culture; his findings are noted in this two-volume set, first published in 1926. 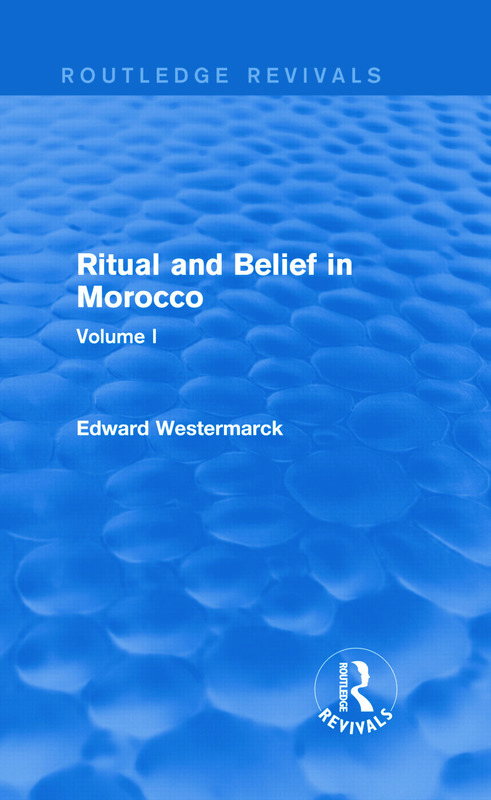 Alongside extensive reference material, including Westermarck’s system of transliteration and a comprehensive list of the tribes and districts mentioned in the text, the chapters discuss such areas as the influences on and relationship between religion and magic in Morocco, the origins of beliefs and practices, curses and witchcraft. This is the first volume of two dealing with the same subject, and will fascinate any student or researcher of anthropology with an interest in the history of ritual, culture and religion in Morocco.